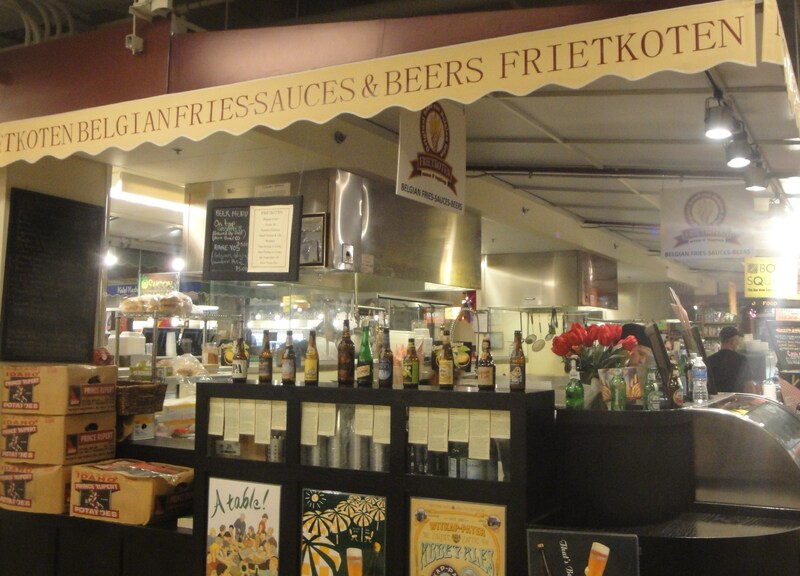 Just a short walk away from the Clinton CTA El station, Inside the Ogilvie Transportation Station is the French Market. This is a really nice little indoor market of artisan vendors and food stalls. 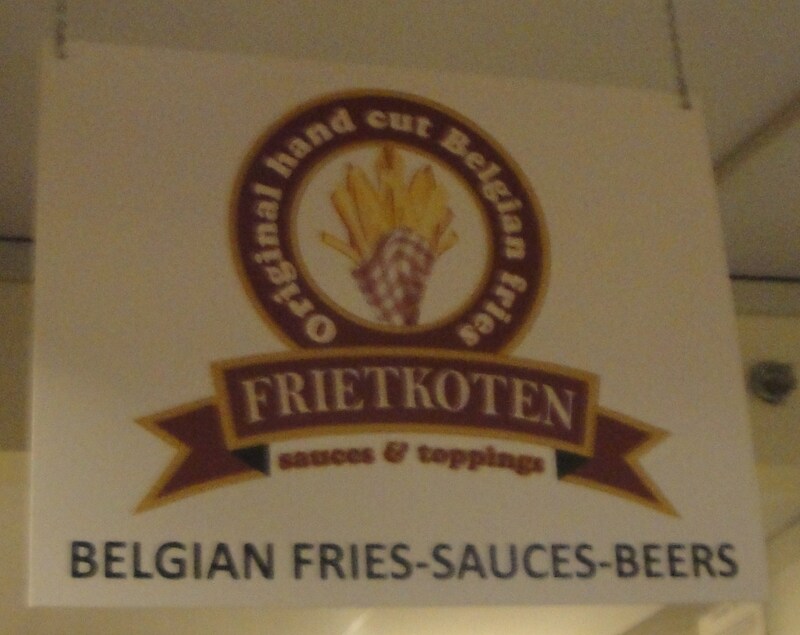 Almost hidden away at the back are a number of stalls cooking fresh food and amongst those stalls is Frietkoten Belgian Fries. Funnily enough with a little more research I learnt that this place is not even supposed to be a Belgian stall, it is supposed to bring Amsterdam’s traditional Frietkoten ‘fry shack’ experience. Opened by Netherlands-native Jeroen Hasenbos it specialises in hand cut Belgian fries, “served in a paper cone and distinguished by a crisp outside and soft, delicious potato inside”. 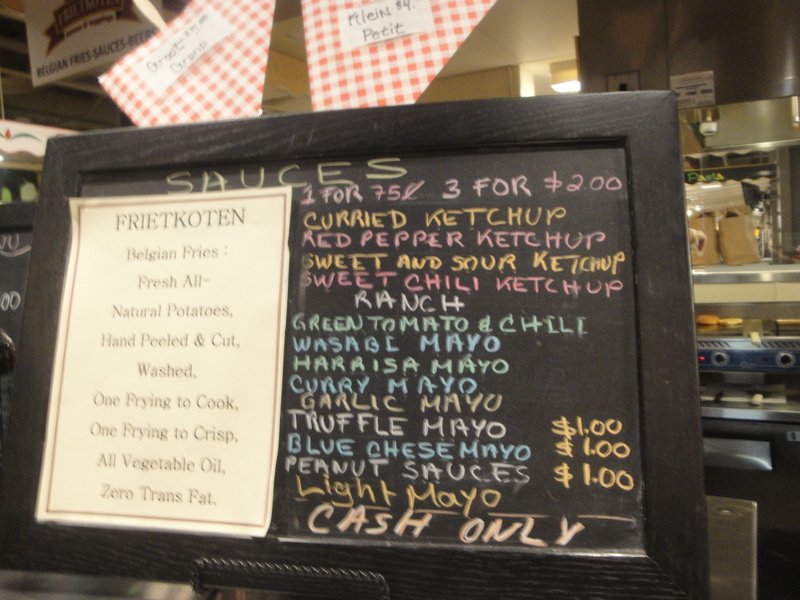 Judging by the number of different sauces that you can choose from, this place is really devoted to it’s presentation of Belgian Fries to the market stalwarts. I myself am a bit of a traditionalist when it comes to dipping my Belgian Fries and pretty much stick to plain old mayonaisse. I was however quite open to the thought of dipping my fry into a pot of curry mayo. 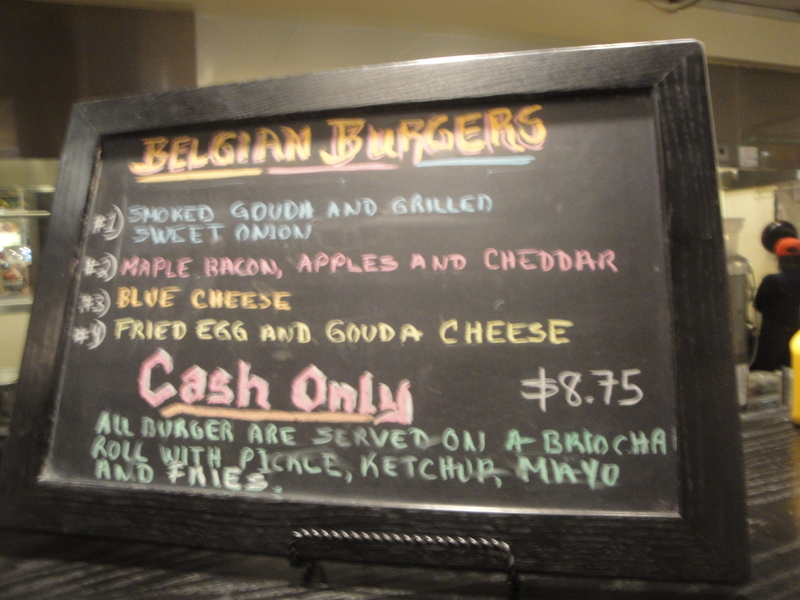 The Blue Cheese Burger looked quite tasty but I am not a massive fan of blue cheese as a topping, instead I selected the slightly less healthy option of gouda cheese and a fried egg as a topping. I did enjoy the cheese, but the egg yolk was not quite runny enough for me. 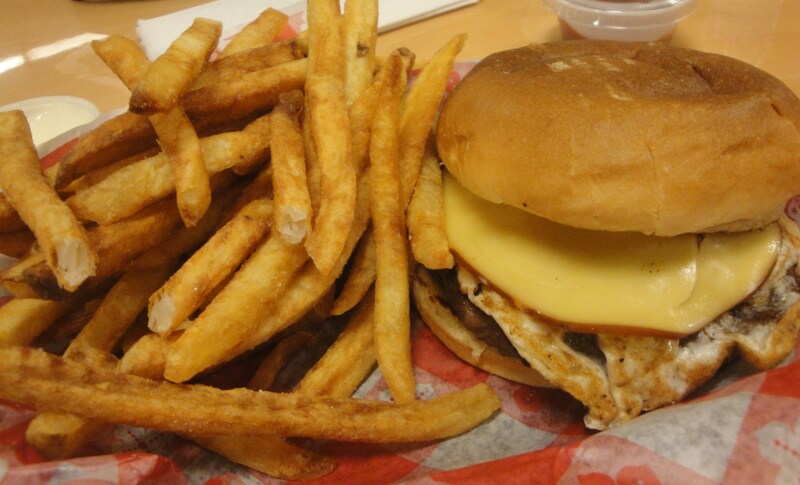 I like the yolk to be the sauce in these burgers a nice yellowy creamy dribble. 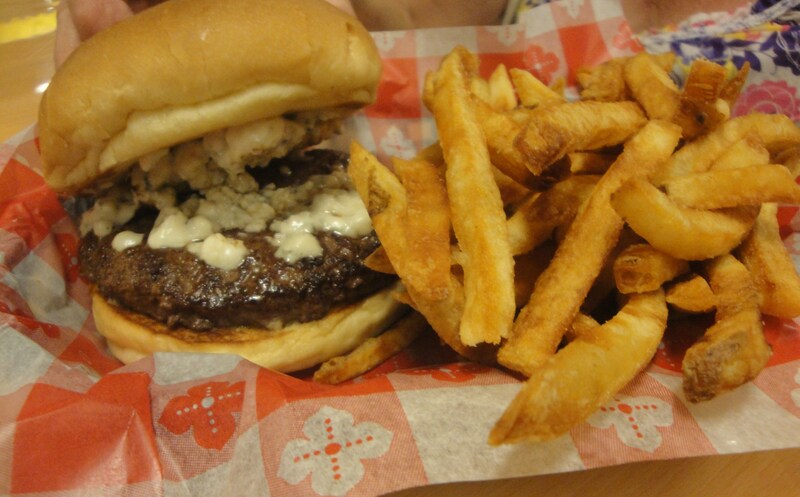 It was still a good moist patty and went down very well. There were too many fries and I was not too excited by them but they were not a bad rendition. I would rather be eating them in a bar in Europe though than in a food market in the states, that is part of the magic. Overall though it was a really tasty snack, actually it was not so much a snack as a gut gusting full meal. I really did not need anything to eat for tea after this visit. Next Post I was trying to dial Buenos Aries in Argentina but ended up getting 5411 Empanada’s new store, it was the best crossed line ever!